Kids can help make this easy Halloween decoration. 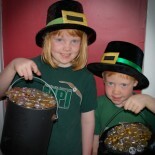 They are so quick that you can make several at the same time and set them around the house. Carve a hole in the styrofoam ball so that it fits on top of the soda bottle. Unfurl the hanger, wrap it once around the soda bottle right underneath the styrofoam ball, and arrange it to make the ghost arms. Drape the cheesecloth over the form, allowing the material to pool at the bottom. This will be the base of the ghost and will hold it up. We unwrapped the entire cheesecloth, folded it in half, and then draped it over the styrofoam ball and wire. Set the structure over a couple of towels or old sheets. This will catch the excess starch when it is sprayed on the ghost and make clean-up easier. 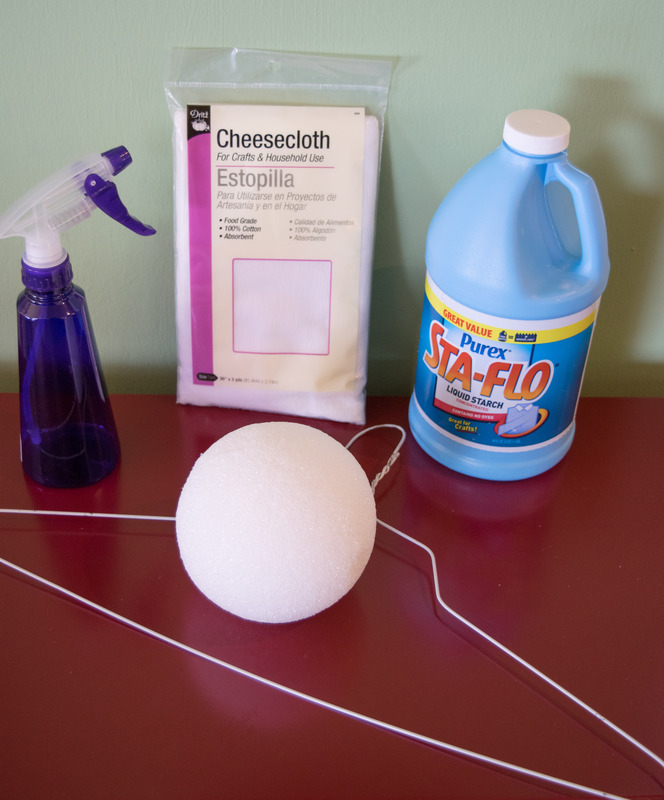 Spray the cheesecloth liberally – the more starch you use, the stiffer your ghost will be. While the cheesecloth is still damp you can arrange it. Allow the cheesecloth to dry or use a hairdryer to speed the process up. We left ours out overnight and it was dry. Carefully remove the structure. Cut some eyes out of felt, material or paper and glue them to the ghost. Make sure you have enough cheesecloth pooling at the bottom, as this will be holding the ghost up. If you want a taller ghost, put the soda bottom on top of a box or overturned bowl. 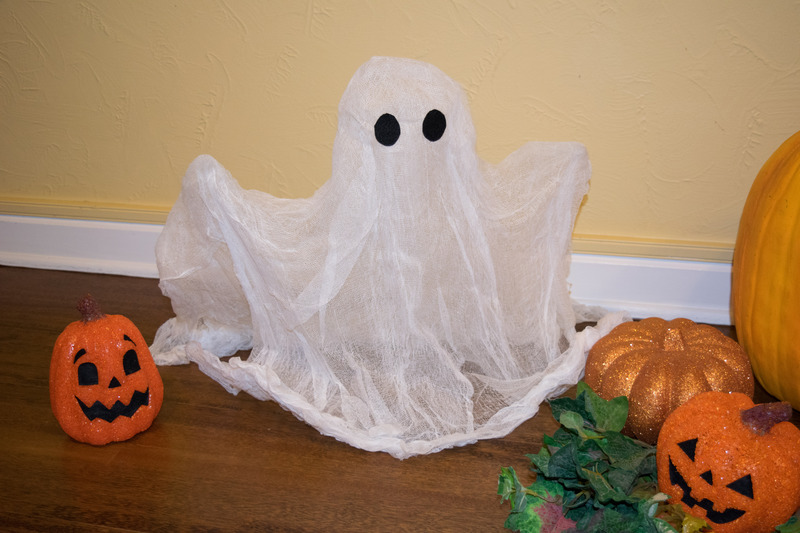 This entry was posted on October 10, 2015 by mdaucello in Halloween, Holidays and tagged cheesecloth, ghost, Halloween.